We were successful with green beans last year and again this year. However, we did not grow the same beans this year. This year we grew tri-colored beans. They are beautiful as well as tasty. You will see that once cooked, magically the beans are all the same color. 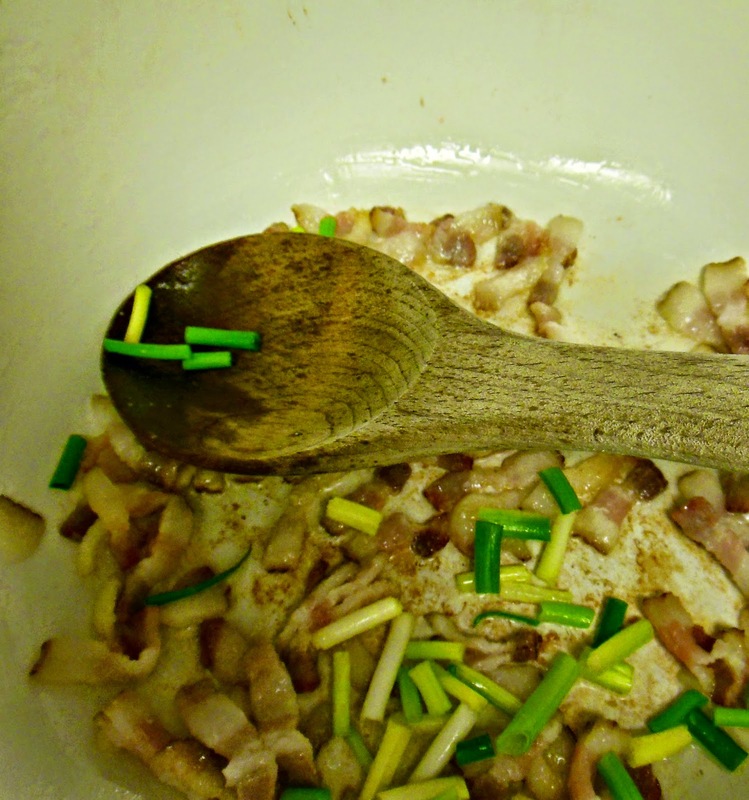 Heat a Dutch oven or heavy bottom pan over medium heat, add bacon and scallions. Cook until lightly browned. Remove excess bacon fat. 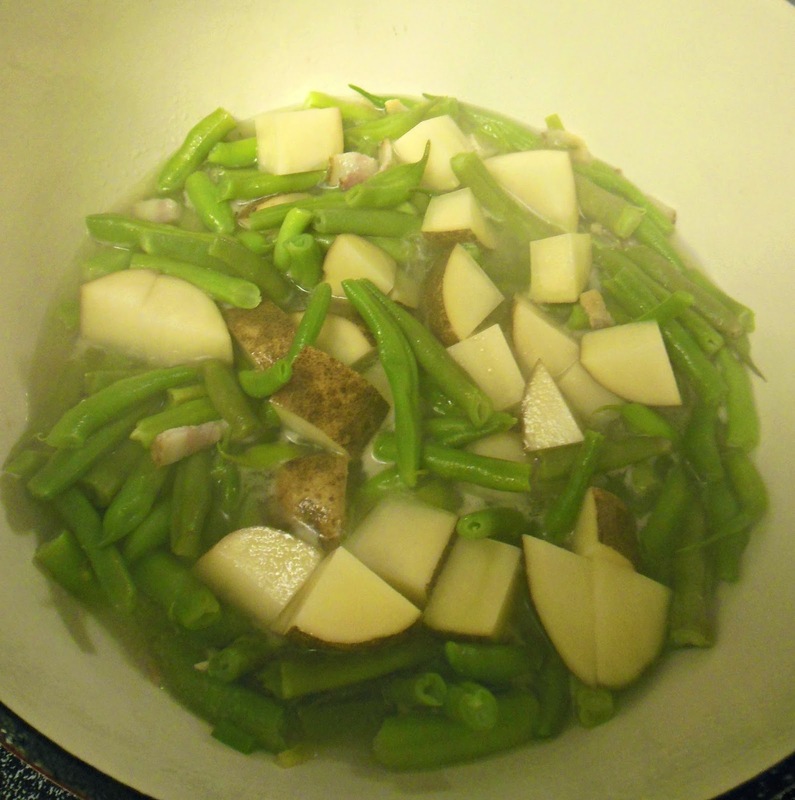 Add green beans, salt and pepper and water. Cover and cook over medium heat for 10 minutes. Add potatoes, stir to mix. Cover and cook additional 30 minutes. 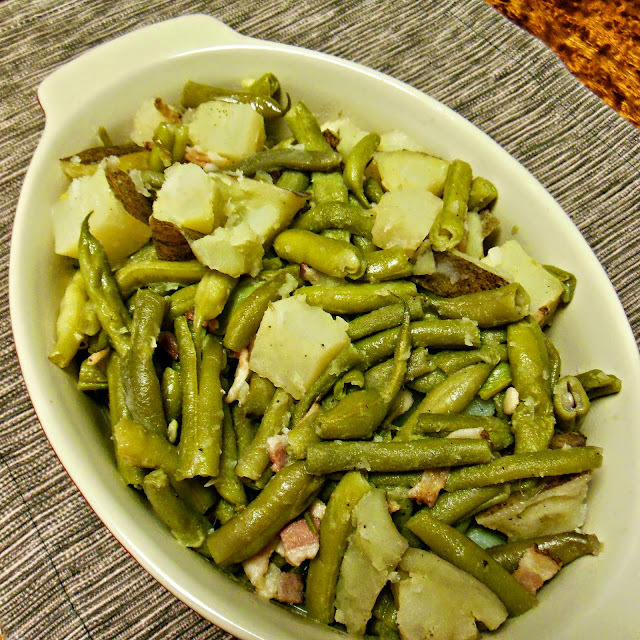 Check once or twice to make sure the green beans have not cooked dry. Remove cover, boil down excess pan juices if desired, taking care not to scorch. 3 comments Lets eat more vegetables, Recipe rating Oh Yes! Such lovely beans! From the garden to the cooking pot, yes, satisfaction indeed! Funny how different coloured beans would be the same colour once cooked, same as okra too! These look so delicious--just like home! You're so right -- there is something special about eating what you grow (growing what you eat ...). These beans look good. 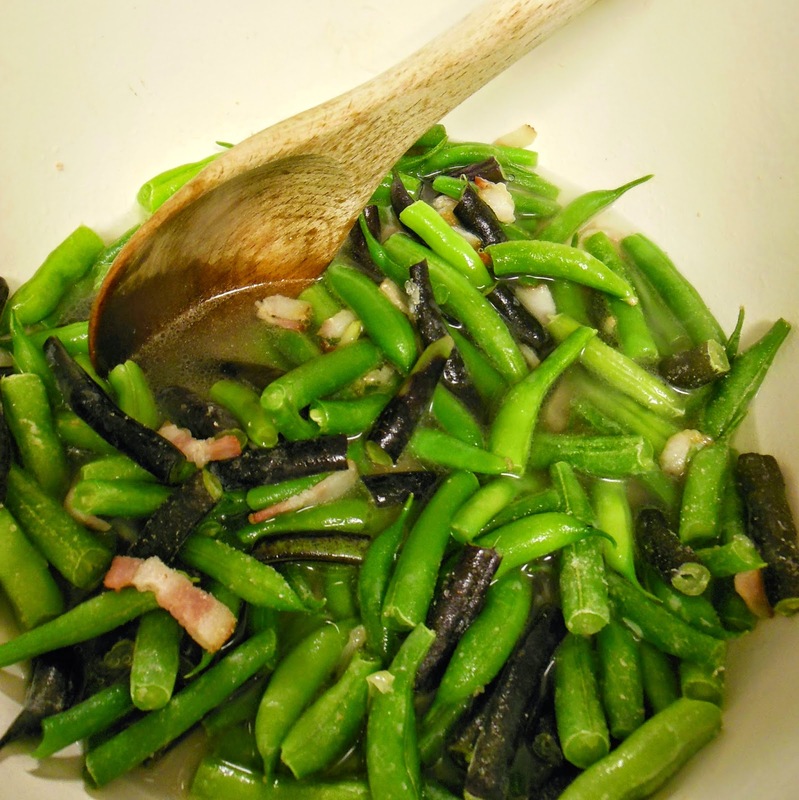 I remember being disappointed the first time I cooked purple green beans and watched them turn green in the pan.